Doctor's Review is a monthly glossy magazine that's freely distributed to Canadian physicians. 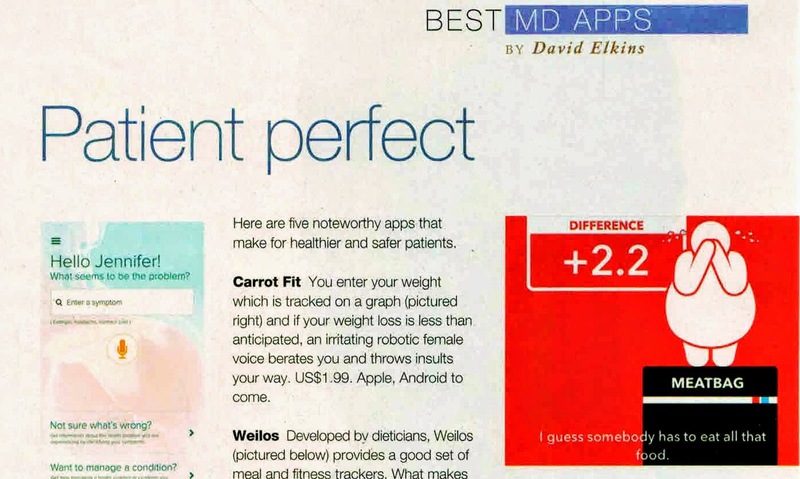 While leafing through this month's issue I across a section called, "Best MD Apps" and a story on "five noteworthy apps that make for healtheir and safer patients". "if your weight loss is less than anticipated an irritating robotic female voice berates you and throws insults your way." "I guess somebody has to eat all that food." 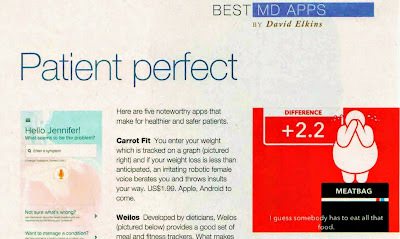 While I can't say I'm surprised that the app exists given our world rife with weight hate, I am dismayed that it's being highlighted to physicians as a noteworthy app that makes for healthier and safer patients. If guilt and shame fuelled sustainable weight loss the world would be slim indeed as sadly those are the two most common things the world does its damnedest to ensure those who struggle have plenty of. It's disappointing that Doctor's Review has encouraged Canadian physicians to recommend this fat shaming app (and in so doing reinforce hateful and health-care harming weight stereotypes), and if the folks there want a quick course on fat shaming, here's a link to Yale's Rudd Center's Resources.